The Premier League is back with a bang, and some of the new boys seem to be relishing their chance to shine. That’s right, ladies and gentlemen- the greatest show on Earth is back with a bang. Unless you’ve been living on another planet for the last couple of days, you’ve probably heard all about the last minute winners, crazy red cards and unbelievable finishes from last weekend’s action. With defences seemingly unable to cope with the precision and power of the opposition’s attack, it just would not stop raining goals across the country. But this weekend wasn’t all about the goals and cards, because the first fixture of the Premier League season always means one very important thing: the new transfers are handed their first opportunity to show what they can really do. We all know that the transfer fees have been downright ridiculous at times this summer, and now it’s time for those players to start showing a return on that investment. Some players hit the ground running and have an immediate impact, while others take a little longer to settle or flop completely (Fernando Torres at Chelsea springs to mind). So, which debutants really impressed in their first domestic outing of the season? 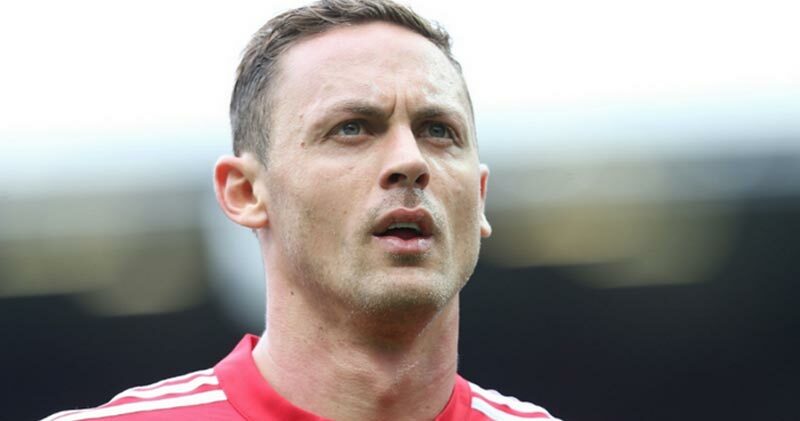 It’s been the likes of Romelu Lukaku and Paul Pogba that have generated much of the pre-season hype at Manchester United, but it was Nemanja Matic who stole the limelight during his Old Trafford bow. Keeping the back four secure and allowing Pogba to move a little further forward, the big Serb was instrumental as they swept West Ham aside in a 4-0 rout. By constantly winning the ball back and keeping play ticking over in that midfield area, Matic pretty much ran the entire show on Sunday- and we bet Antonio Conte must be tearing his hair out after such a quality display. Completely deserving of his MOTM award, Matic will be hoping for back-to-back Premier League trophies this season. This young lad has come out of nowhere. After letting the other Kyle Walker (no relation) complete a big money move to Manchester City, Spurs had lined up Kieran Trippier to fill the slot at right-back. However, with Trippier getting injured in pre-season, it was 20-year-old Kyle Walker-Peters who started at the back on opening day. Although it’s fair to say that Newcastle United offered very little in way of a threat, it would be remiss of us not to recognise the assured, confident performance from the young defender. Stealing the limelight from Dele Alli and Harry Kane, it was Walker-Peters who walked away with the MOTM award, and poor Kieran Trippier might be a little worried he won’t be first-choice once he finally returns. This summer has been filled with ridiculous transfer fees and high-profile moves, as promising players across the continent have tried to force moves to bigger clubs. But whilst Neymar, Lukaku and Ronaldo have been stealing the headlines throughout the window, it seems West Brom have snagged themselves an absolute bargain in defender Ahmed Hegazi. Being brought in a little under the radar, Hegazi arrived at The Hawthorns on a one-year loan from Egyptian side Al Ahly and has taken no time at all to settle into the Premier League. Making a number of vital tackles and interceptions, Hegazi will be delighted to not only come away from his debut with a clean sheet, but to also score the winner on the half-hour mark. Although he might struggle against some of the bigger teams, it’s impossible to ignore that he’s got off to a flying start to the season. There were a number of other impressive Premier League debuts this weekend, but they weren’t quite good enough to break into our top 3. Alvaro Morata, Alexandre Lacazette and Wayne Rooney all celebrated debut goals, while Romelu Lukaku got a brace as Manchester United went to the top of the table. Mo Salah looked very promising for Liverpool as they drew at Watford, and Steve Mounie scored an historic double for Huddersfield Town in their first ever Premier League match. In short, there were goals, goals and, that’s right, more goals.